Happy Thanksgiving Week! Tastings Galore! Closed Thurs, BCBS Friday! If you are still looking for a place to get your Thanksgiving Day Turkey, look no further. WE HAVE TURKEYS from Carnivore Meat Co.! Come on in today and grab one for your Thanksgiving Day meal! We Are Closed Thanksgiving Day! Don't forget that by Tennessee State Law, we have to be closed Thursday, November 22nd in observance of Thanksgiving, so plan ahead! I'd shop early if you don't want to wait in a monster line! We will be open regular hours Monday, Tuesday, Wednesday, Friday, Saturday, and Sunday this week. 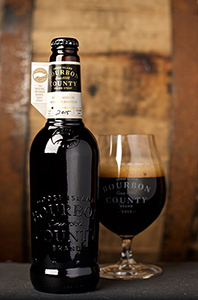 Goose Island Bourbon County is set to come in and be on the floor at 9am Black Friday, Nov. 23rd. We will be getting Bourbon County Brand Stout 16.9oz bottles. We are also getting a small amount of the variants. There will be a very limited quantity which means there will be a bottle limit per customer. This is first come first served and we do expect to have a line at the door when we open! 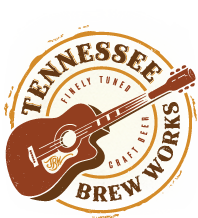 This Wednesday, we have a Tasting Bar Takeover with Nashville's own Tennessee Brew Works featuring their Sweet Potato Stout! Stop in between 4:00 & 7:00 pm and find your favorite! To help you make some decisions Wednesday afternoon, we will have the folks from Love and Exile Wines in the store to let you taste through some of their wine offerings! 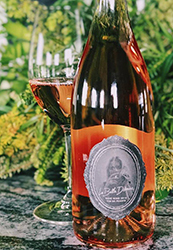 Love & Exile has recruited the some of the most well-known winemakers from Italy and California to create a wine that’s carefully crafted yet chuggable. The wine they create together is brought back to Nashville where it is finished and bottled or canned locally in a winery that Tyler and the small team built in an abandoned car garage less than a mile from downtown called Nashville Urban Winery. Come on in from 2 to 6p and give these delicious, locally bottled and canned wines a try! This Friday, we will have the folks from Glenns Creek Distilling in the store to let you sample their delicious whiskies! The famous bourbon from the long abandoned Old Crow Distillery was originally produced in 1835 by Dr. James Crow using the sour mash process he perfected, and which has essentially become the foundation for bourbons since then. 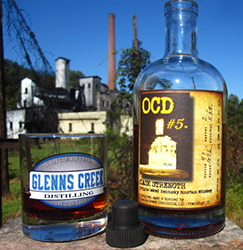 Glenns Creek Distillery wanted to recreate a new bourbon produced in the style of Dr. Crow; something that Dr. Crow would drink and approve of. Come on in between 4 & 7p on Friday and give these whiskies a try! 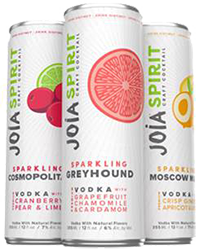 This Friday, we will have the folks from Joia Spirits in the store to let you sample their delicious canned cocktails! Our premium vodka cocktails taste amazing, they’re all natural with no artificial anything and they’re lower in sugar and calories for a just-right, not-too-sweet taste — a fresh twist on classic cocktails. Joia Spirit is perfect to take anywhere and enjoy chilled right from the can or in a glass over ice. Come on in between 4 & 7p on Friday and give these delicious pre-made cocktails a try! Locally made Red Eye Rye! This Saturday afternoon, we will have the folks from Barsmith in the store to let you sample their delicious Red Eye Rye! 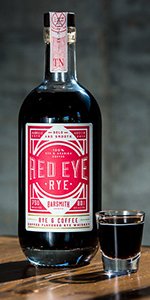 Red Eye Rye is a unique and versatile spirit born behind the bar in Nashville, Tennessee. Rye whiskey, 100% Arabica coffee from South America and granulated sugar are blended together to create a bold and complex spirit that is great on its own or mixed into a classic cocktail. Roasted coffee, toasted hazelnut and pepper spice make up the nose of the spirit. On the palate Red Eye Rye starts with dark coffee turning into smooth vanilla and toasted nut flavor and finishing with a dry pepper spice mellowed slightly by a round sweetness. Red Eye Rye is free of caramel color, grain spirit, or any other fillers or additives. Bottled at 80 proof / 40% ABV and made with pure rye whiskey using a 95% rye and 5% malted barley mash bill. Come on in between 2 & 5p on Saturday and give this delicious locally made Rye & Coffee spirit a try! 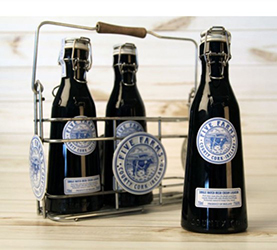 This Saturday afternoon, we will also have the folks from Five Farms in the store to let you sample Five Farms Single Batch Irish Cream Liqueur! Come on in between 2 & 5p on Saturday and have a sip of this award winning Irish Cream! TailGate Brewing Thurs+Alfresco Pasta & Long Branch Whiskey Fri+Adelaide's Cream Liqueurs Sat! TrimTab Brewing & Tattersall Distilling Thurs+Broken Shed Vodka Fri+Cutwater Spirits & Ballotin Sat!